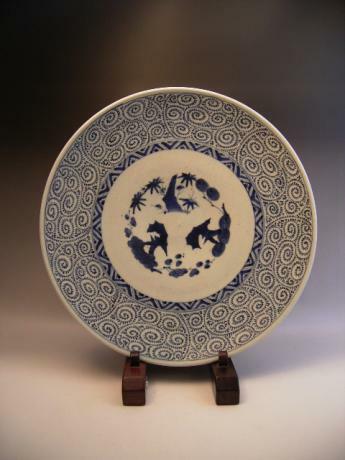 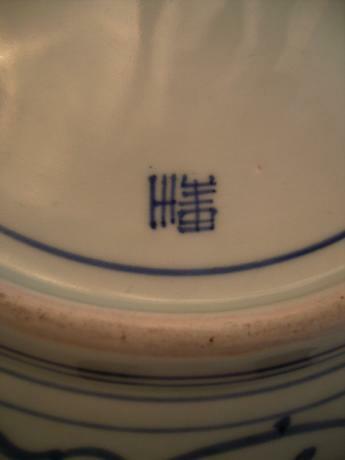 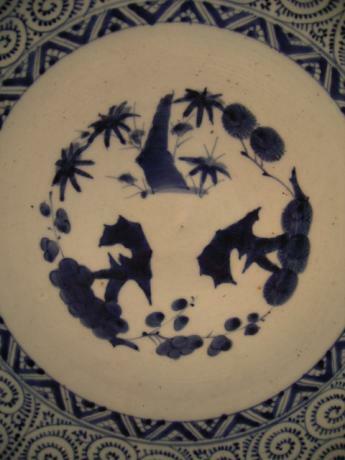 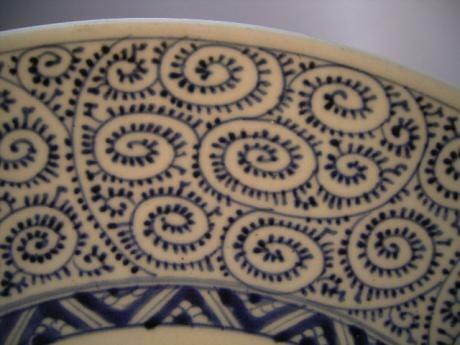 Description: Japanese 19th century blue and white TAKO KARAKUSA design charger. 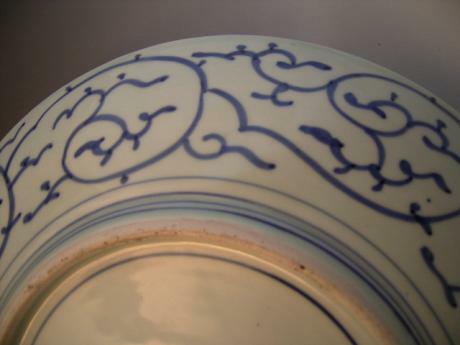 The center of the charger has the design of the Japanese traditional and auspicious three friends, bamboo, pine and plum. 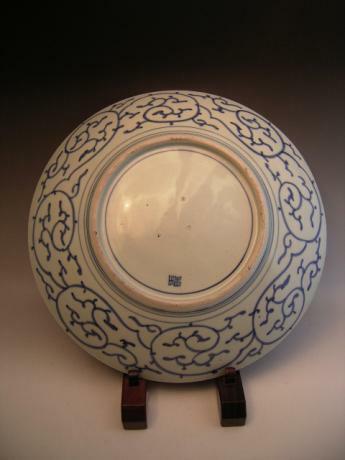 The charger measures 16" in diameter by 3" depth.